Updated editions to the bestselling series. They have been completely redesigned in colour. Includes improved backing tracks (on the CD editions) and new songs have been added. The prices remain the same as the classic original editions. 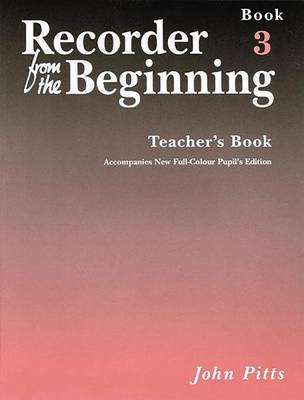 John Pitt's hugely successful Recorder from the Beginning teaching scheme has a straightforward, easy-to-follow approach with attractive collections of well-known and original tunes. The beginner books are specially written for 7-11 year olds. The additional graded repertoire and ensemble books will appeal to players of all ages. No previous knowledge of the recorder or music is needed in order to begin playing with this specially written recorder course - it's all covered in the books. Pupil book and CD edition provides demonstration tracks and interesting accompaniments to help encourage practice and performance.